Softwares | . :: computer geek's diary ::. Now, get my blog news from your phone itself while you Travel. – What is QR code? – How do I install Apps? – What are the requirements to run Apps? – I start an App but I don´t see anything. Why? Note: Your Android phone might block this software installation initially. Hint: Enable “Unknown Sources” – Allow install of non-Market applications. If you need to add more memory to your system, for example, you can check how many memory slots your computer has and what memory’s already installed. Then you can go out and buy the right type of memory to add on or replace what you’ve already got. -Stability and speed fixes on Windows 7 SP1. -Improved detection of Norton Internet Security 2011. -Fixed issue that caused incorrect reporting of the UAC notify levels. -Improved schedule task reporting in Windows 7 SP1. -Fixed bug in RAM calculation. -Added IP validation to the network section. -Fixed accuracy of virtual memory calculation. -Fixed highlighting issue with Find feature. -Fixed issue that could cause the CPU to be listed multiple times. I have tested this software with Blu Ray’s and DVD’s and this is a MUST software. 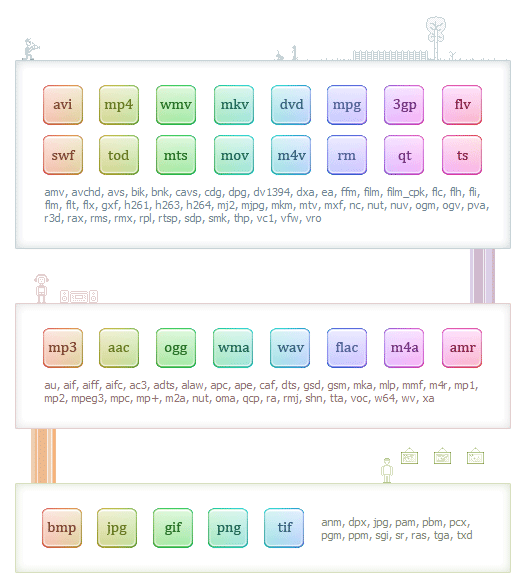 Ideally for other Software’s I tested, I found out that there is a lip sync mismatch!. This one kicks off others! Freemake designs free software without any limitations – free solutions which offer quality alternatives to paid products. Mind that our free video converter is freeware in the truest sense of the word: no adware, no sneakware, no hidden costs! 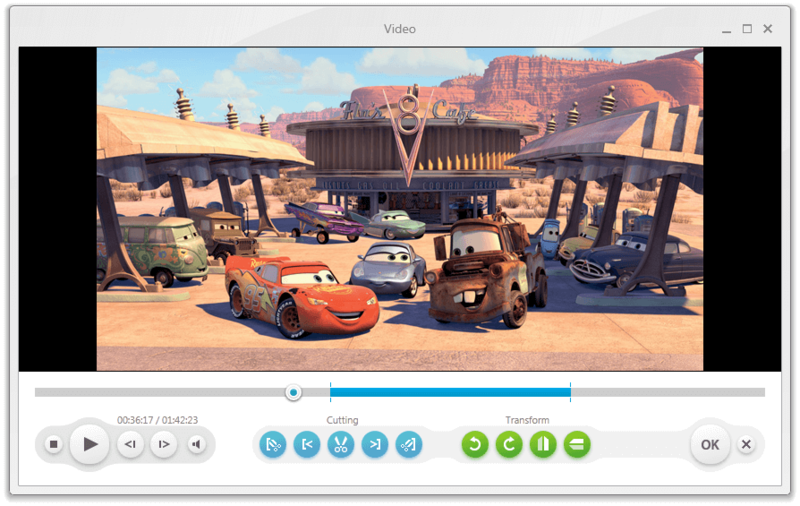 Convert video free to the most popular video formats. Rip unprotected DVDs. Use our Video Converter as AVI converter, MPEG converter or 3GP converter. 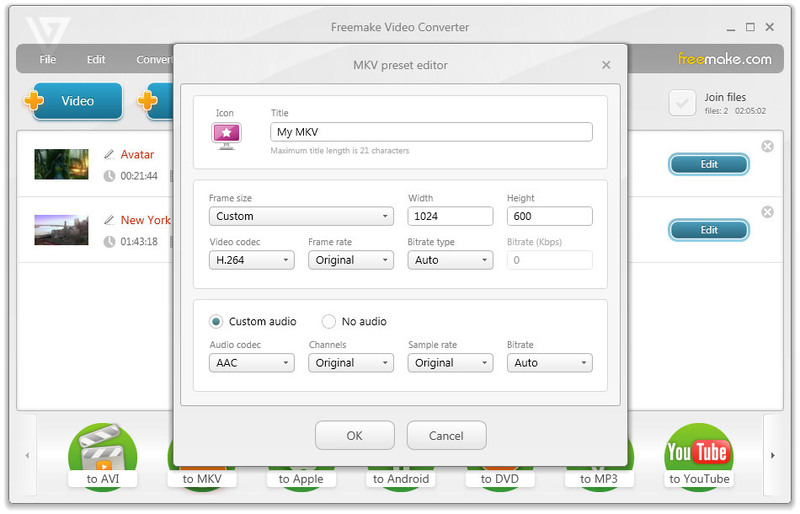 Convert video and audio files to MP3 with our free video converter. Optimize videos for Apple, Sony, and Android devices. Convert videos free to iPod Classic, iPod Touch, iPod Nano, iPod 5G, iPhone, iPad, Sony PSP, PS2, PS3, BlackBerry, Xbox, Apple TV, Android mobile devices, smartphones, etc. Convert your favourite movies to video Blu-ray format and burn high-quality BDs for free. Create Blu-ray discs out of any input content: video, audio, photos, URLs. Burn multiple Blu-ray copies and save the resulted Blu-ray video to the hard disc as an ISO image or Blu-ray folder with our free video converter. Unlike other software, our free video converter doesn’t have a two-hour limit and can burn up to 20 hours to a Standard DVD or 40 hours to DVD-DL. With our free video converter, you can make multiple DVD copies and save the output DVD video to your PC as an ISO image or DVD folder. Due to the integrated CUDA technology, you can benefit from very fast & free video encoding and less CPU usage using our free video converter. Just enable CUDA on your PC! Turn photos and MP3 into slideshows with background music for free. 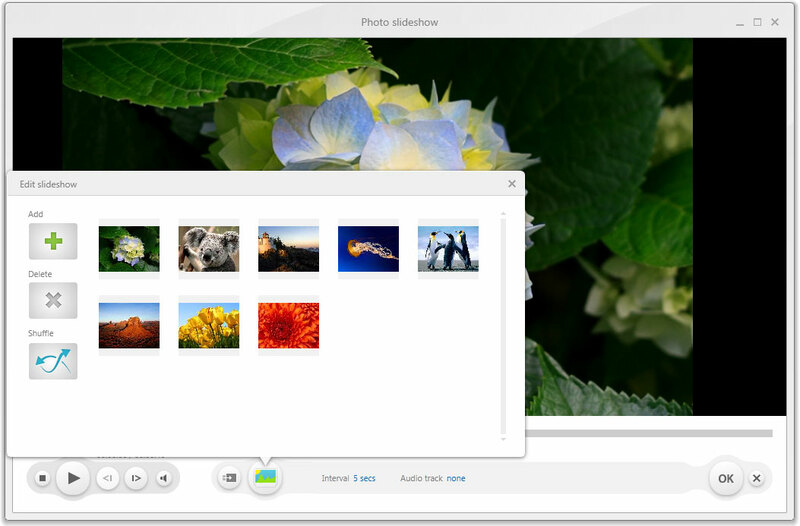 Edit your slideshow by moving, adding, deleting, and shuffling photos, or enable panorama effect. Create music visualizations by converting audio to video and upload your photos and music to YouTube for free! Cut unwanted parts from video files, use scene searching option. Rotate or flip video. Join several videos into one file. Fit the output file size to any limit (e.g. 700 Mb, 1.4 Gb, 4.7 Gb). 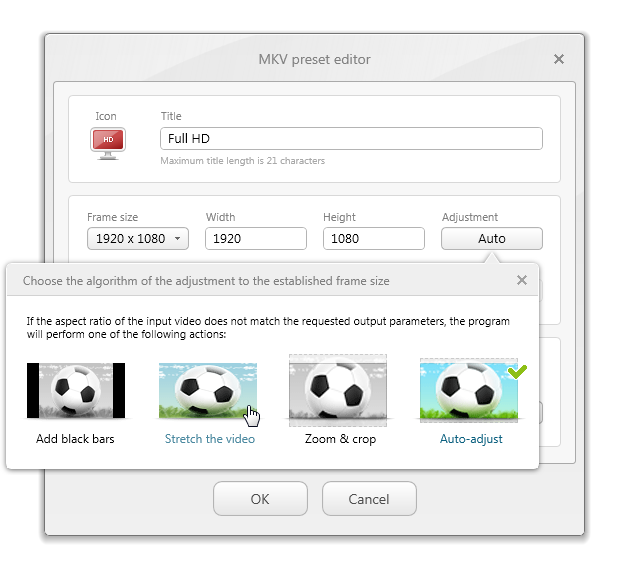 Adjust output video to the established aspect ratio: add black bars, stretch, zoom, auto-adjust. fixes a bug with printing from processes with lower priority like Google Chrome or Adobe Reader X.
AquaSnap is a great replacement for the Aero Snap and Aero Shake features of Windows 7 and is compatible with every Windows versions and consumes very little memory and CPU. Today’s computers often have large monitors capable of displaying simultaneously several applications. But arranging those windows in order to properly share your screen between 2 or more applications can rapidly become a laborious task. Go SMS is an SMS APP designed for Android phone, providing fast, convenient, personalized SMS/MMS experience. Go Launcher is an amazing home replacement app for Android. Microsoft seems to have thrown in the towel on Microsoft Office, that is when it comes to validating your Office program to verify its legitimacy. Late last week, according to zdnet.com and confirmed through a KB 917999, Microsoft has shut down the program to check whether your version of Office is genuine or not. The silent shutdown of the program by Microsoft was unannounced, but confirmed through the KB article. Microsoft Office will now allow anyone who downloaded templates or pass through add-ins that require the genuine advantage to be completely bypassed, allowing both legitimate and illegitimate versions of Office to download and use extras. The sudden and silent retirement of Office Genuine Advantage (OGA) means that Microsoft is giving up to prevent piracy of its community-made and in-house developed templates and other downloads. This still doesn’t mean users can install any copy of Microsoft Office, as it still requires you to enter your 25-character key and verify it through Microsoft’s activation server. Office Genuine Advantage does not affect Windows Genuine Advantage, which is still an on-going program and required to install some Microsoft programs like Security Essentials. What’s the Easiest Way to Share Large Files and Media with Friends? When you want to to share music, movies, photos, or other files online, you’ve got countless options. We’ve examined most, and for our money, one tool emerges on top of the heap for its ease of use, wide support, and all-around excellence. Sharing files publicly has always been a subject of hot debate, but put aside any legal concerns for the moment and consider: What if you want to just share some home videos or music privately with a few friends rather than the internet at large? What’s the easiest way to share large files? For this writer and tech enthusiast’s money, the easiest and best way to share large files of any kind with your friends and family is to simply install Opera Unite, walk through a couple of quick configuration screens, and then send them the URL and password to access your content from any browser. Plenty of web sites let you send large files around, usually by uploading a file and then sending a link to the content, and BitTorrent is also great for sharing large files, but the problem with both of those is that you’re unnecessarily putting your content out there online for others, and wasting bandwidth by sending it to third parties. (You could set up private torrents, but those still require an open tracking server, which aren’t always reliable.) Opera Unite sets up a fast, direct connection to share your files, it’s extremely easy to use, and best of all, it’s free! Update: Many commenters have pointed out that Dropbox is an excellent way to share files, and we wholeheartedly agree. However, Dropbox has a 2GB limit for free accounts, which is hardly enough space to share a collection of large files with your friends—plus, you have to wait for an upload to finish before you can share it. With Opera Unite, you can share large directories of any size instantly, for free. Since Unite is just a component of the Opera browser, all you have to do is download and install the latest version of Opera. Unite comes along for the ride automatically, but you’ll need to activate it by opening up the sidebar, clicking the Unite icon, and going through the wizard to set up a free Unite account (see screenshot). Note: You don’t have to switch to the Opera browser to use Unite, so if you’re a Firefox or Chrome loyalist, you can still choose to use Opera just for your file sharing needs. Once you’ve set it up, you can right-click on Opera Unite Home and access the Properties, or you can select the File Sharing module and click the Start button to open up a short configuration wizard to help you share your files. Internally, Opera Unite is nothing more than a web server that runs inside of your web browser, and uses the standard HTTP protocol so your friends and family can access your shared content from any browser. Your free Unite account gives you access to Opera’s dynamic DNS service, which means you can share your content with an easy-to-remember, unique URL that you can send to anybody. Unite automatically hooks into your router using uPnP to dynamically open port 8840, but it can also use a Unite proxy server when you’re behind a more restrictive firewall—though it will obviously be slower. Everything is password protected, so even if you’ve set up file sharing and the URL is public, it doesn’t mean that people will be able to see what you are sharing—only those that you’ve given both the public URL and the password to can access your files. You’ll probably want to change the default passwords, though. Now that you’ve set up Unite, it’s time to start sharing. Click on the Unite icon in the left-hand pane of Opera (it’s the swirly-looking one), then double-click the File Sharing module. You’ll be asked to choose the folder you wish to share. You can click the Advanced button and set up a few additional properties, but that’s pretty much all you’ll need to do to start sharing your files—a URL and password will be automatically generated for you so you can share those files quickly and easily. After setting up your file share, the next time you double-click on the File Sharing module in the left-hand Opera panel you’ll open up the administration page. Look over to the right-hand side, where you can see the URL and the automatically generated password. You can copy and paste those to your friends, and they’ll be able to access the files immediately—but you should probably change the password to something slightly more difficult first. Your unique Opera Unite URL will always be set to the [devicename]. [username].operaunite.com address format, so you can actually have multiple devices set up on your network and easily share files with each one. If you would prefer to get a little more geeky, you can actually set up your own domain name for Opera Unite, but that’s probably overkill for just sharing some files with friends. Once you’ve sent somebody the URL, they’ll be prompted for a password to access the shared content, at which point they can browse through all the files you’ve shared and download them. Since Opera Unite usually enables port-forwarding on your router automatically with uPnP, the connection is surprisingly fast if you have a decent internet connection—it’s going to be slower if it has to go through the Opera proxy server. What makes this really great for sharing with your less tech-savvy friends is that they don’t have to install any applications, or even install Opera—all of the content should work from any browser. Since Opera Unite is nothing more than a web server, it also enables many downloadable modules to do any number of things that you could do with a full web server setup—like create your own streaming music server so you can access your content from anywhere. Just double-click on the media server module in the Unite panel, choose the location of your music folder, and then make sure to set a more difficult password. Just like that, you’ve enabled your entire music collection to be streamed from any browser anywhere, directly off your home PC. There’s a player embedded directly in the page so you don’t even need a media player installed on the other machine. The fun doesn’t stop with media serving—there are modules for a simple HTML web server, photo sharing, whiteboards, chatrooms, file sync, and more.